That is the name. Of the horse. Special. A paint horse. She is beautiful. Smart, friendly. 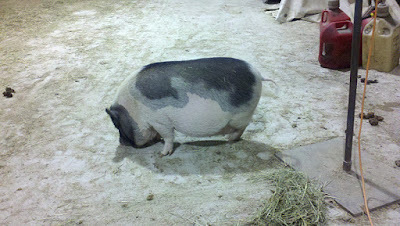 Likes to whip her tail - constantly! 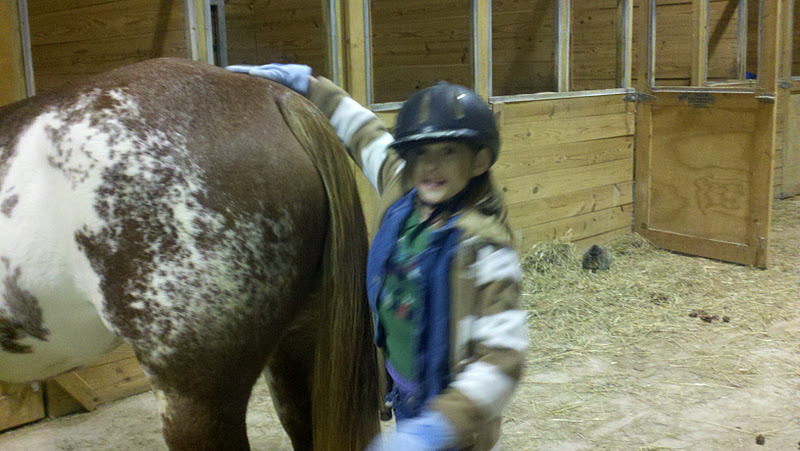 Tonight Alia had her first horse riding lesson. She received six lessons last Chanukah and we just now got around to setting up the first one. 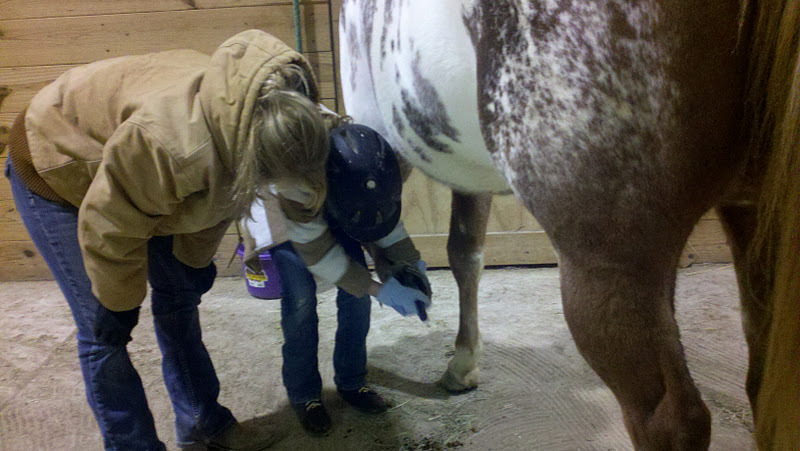 Alia had to do a lot of work before she could ride. 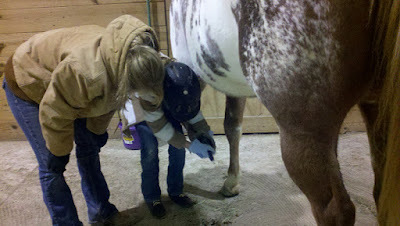 First she had to use three different brushes to brush the horse. Then she had to clean the hoofs. 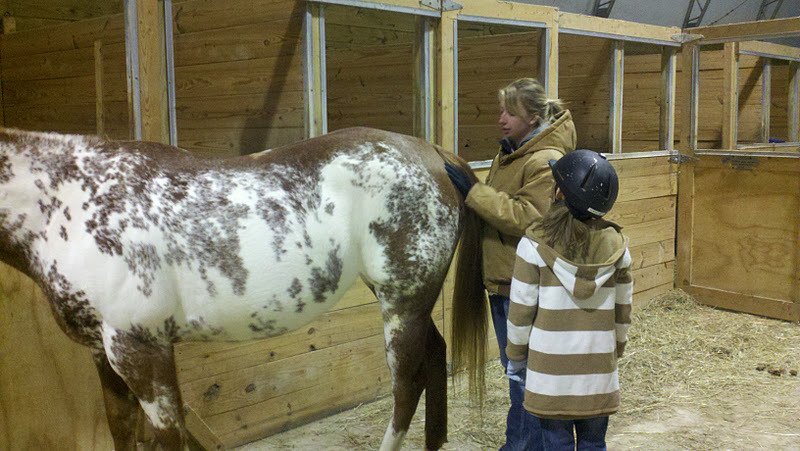 Then she had to learn how to put the saddle on and make the t-knot to hold it on. She bridled her and then walked her to the arena. From there, Alia learned the proper position in which to ride, how to stop, turn, slow, trot. She learned how to do these things with her voice and with the reins. She also learned how to mount and dismount, and warm up and down the horse by leading her, walking, around the arena. Afterwards, she lead the horse back to the starting point where she had to take the saddle off, and put two layers of blankets on. 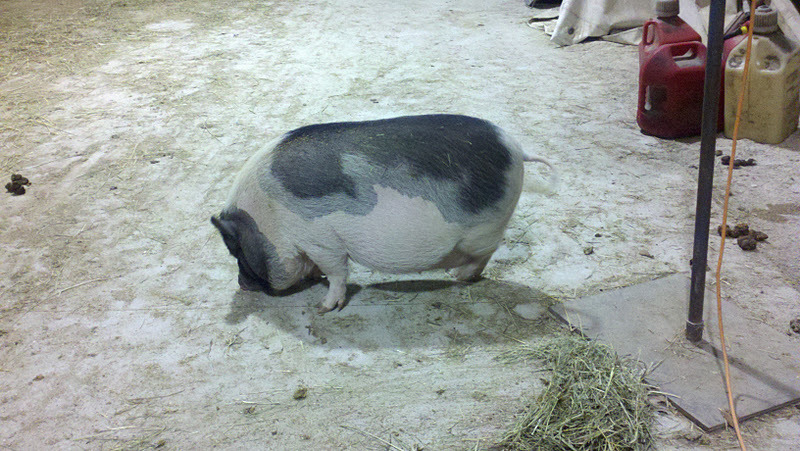 Lastly, she had to walk Special back to the barn. Alia did a great job! At first it was a little hard to make Special stop and stay stop, but as her confidence and authority grew, she was able to master it. 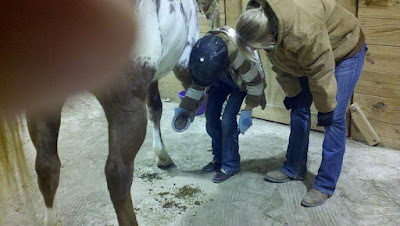 She found cleaning the hoofs hard, as well as turning while trotting to be the most challenging part of it. The easiest part was turning/walking in a circle. Unfortunately, we forgot the camera. These were taken with Rob's cell phone just before it died! Better and more photos next time! 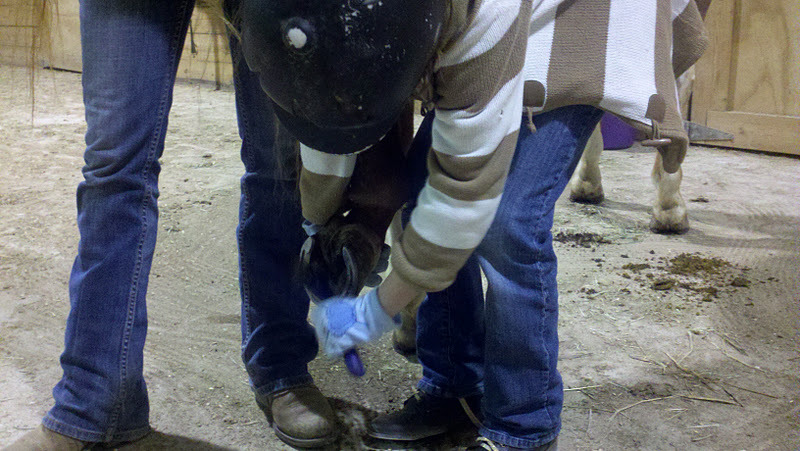 Here Alia is cleaning the hoof. Yes, the hoof cleaning took a while! Alia learning to walk behind the horse.